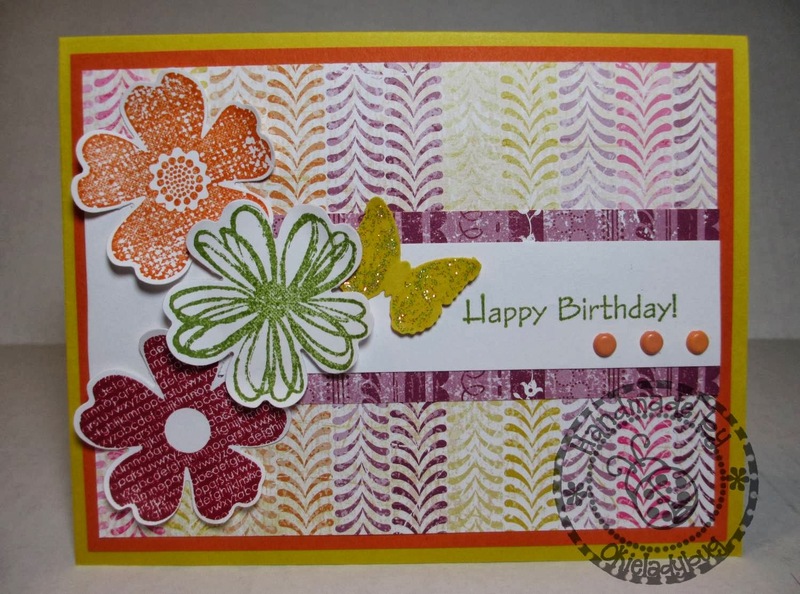 This is the second card I made with the Stampin Up Flower Shop Bundle. I don't like this card as much as yesterday's card, I think it is the background paper, it reminds me too much of chevrons and I don't like chevrons! 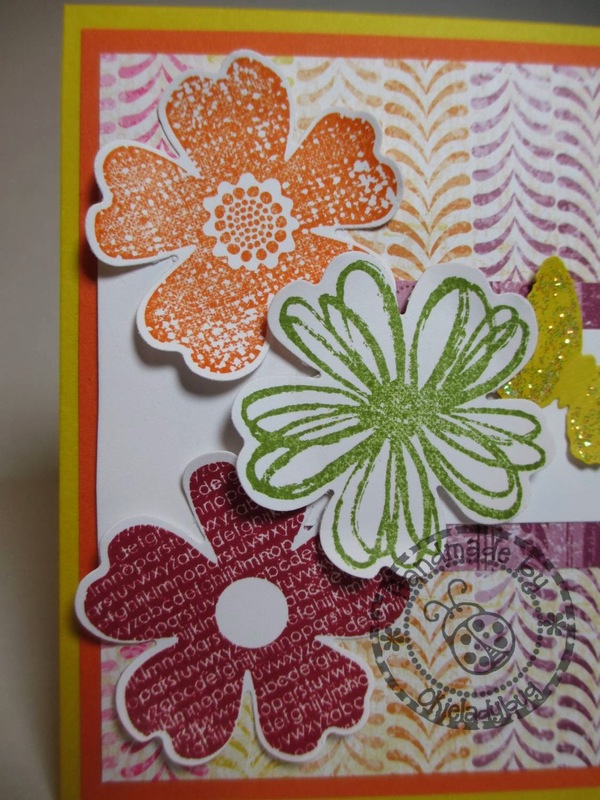 The paper is from Stampin Up and I believe the name of the designer series was Rich Razzleberry, this was before the Razzleberry became a staple color in the catalog. I think the butterfly would have looked better if I would have used patterned paper and it did help when I added some glitter to the wings. 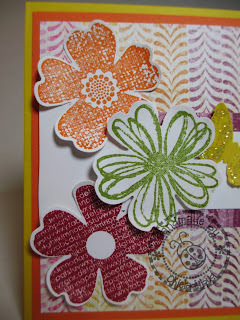 I used a bone folder to make the petals curl on the flowers, I think I did that on all the cards I made. For the larger white area on the left hand side of the card I used a 2" circle punch and then cut off the part I didn't need. This also helped me with the curve design for the flowers to follow. The middle flower was pop dotted. I promise that tomorrow's card is a better one! 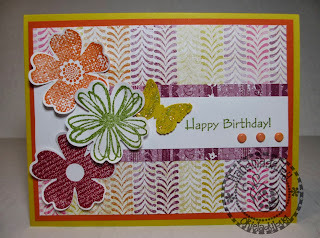 I like this - I think the patterned paper adds a nice touch!